New Jersey law defines a motorcycle as any vehicle with a seat, saddle or a platform where a person operating it sits or stands. All tricycles (three-wheeled vehicles) are also categorized under motorcycles. So if you own a motorcycle cycle of any kind in New Jersey, you must obtain motorcycle registration and title it before you operate it. You will need to go in person to your local Motor Vehicle Commission (MVC) Agency in order to get motorcycle registration and title. Make sure that you bring your current title or the manufacturer’s Certificate of Origin. If the motorcycle is not titled, ensure that you bring a notarized bill of sale that has been signed by a previous owner. You must also show proof of insurance and pay the $65 motorcycle registration fee. If your title has a lien you will pay $60, and if there is no lien you will pay $85. 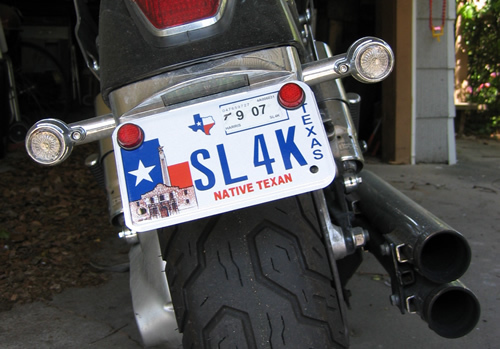 Your motorcycle must also meet the NHTSA safety and emissions standards. It must also meet the safety and emissions standards set by the Environmental Protection Agency (EPA). An approved goggles or face shield if there is no windscreen on your motorcycle. Front and rear wheel brakes. Steering, wheel alignment and suspension. Red rear light and reflector. License plates with valid decal. A motorized bicycle commonly referred to as a moped, is a pedal bicycle with a helper motor. Just like your motorcycle, you must also register, title and insure your moped. The registration fee for a moped is $15. The process of registering a moped is almost similar to that of motorcycle registration, except that a moped does not require inspections. It must be a pedal bicycle. The motor must be less than 50 cc. The brake horsepower must not been more than 1.5. Have a speed of 25 MPH or less on a flat surface.